Advertising on social platforms can be a great way to get your message out, but as many of us know, creating compelling content that doesn’t necessarily feel like an ad is a really tough balance to strike. Enter Pinterest’s new Pin Collective, a team of creatives that you can hire to create ads in less than 10 days. Pinterest’s paid adoptions have been around for several years under Promoted Pins. What makes them unique is that they have designed Promoted Pins to flow in with organic content smoothly, making the viewing experience for the consumer much more pleasurable. How many times have you been scrolling through your feed and come across a jarring image that is clearly an ad? I don’t know about you, but I find that really annoying. Pinterest solves that by making the separation between organic and paid content much more subtle. This approach is paying off. According to Pinterest, advertisers who use Promoted Pins receive an average of 20% more clicks in a month after launching a Promoted Pin. And now, with their Pin Collective self-serve platform, marketers can use a team of content creators to make super appealing Pin ad imagery in as little as 10 days. Easy, breezy, lemon squeezy. Not only does Target do a stand-up job at promoting its merchandise, it also showcases its products in a lifestyle setting. So, maybe Chobani doesn’t have a catalog of ‘perfectly pinnable products’ like Target, but they do have a cool Pinterest page packed with wellness tips, recipes, general information and inspirational quotes. Chobani is a perfect example of a brand that understands their customer base and plans their pins accordingly. The message is clear: Pinterest paid posts are a great tool for marketers to promote their content in a subtle and effective manner. Pinterest, a visual discovery tool to find ideas for projects and interests, is one such opportunity for brand-consumer engagement and understanding. By fully utilizing a social medium that is literally dedicated to creativity and personal voice, brands will be able to connect with current millennial users on a personal level and attract potential consumers. Many millennial Pinterest users consider themselves DIYers, meaning they enjoy 'Do-It-Yourself' projects. This is a target audience in itself. These folks are crafty, creative, thoughtful, and mindful of expense. They aren't trying to look 'cheap' in any way; they just enjoy the process and sentimental value of adding personal touch. They put in a little bit of extra work in order to achieve the best possible outcome, creating a memento that derives personality as well as the pride of a job well done. Millennial DIY users will gain confidence in a brand through Pinterest engagement, thus partaking in conversations and amplifying product sales as well as overall awareness. Pinterest users spend on average 89 minutes at a time on the site, compared to the 21 minutes on Twitter and 8 minutes on Facebook (IDG Research). By targeting this millennial DIY audience via Pinterest, creative ideas will not only be shared and discovered, but brand engagement and activation will be boosted significantly. Millennial users want to engage with brands that are fun, personable, and up to date with current trends, not stiff and seemingly inhuman or behind on the times. A humanized page layout and voice will allow consumers to interact with a brand as if it were a friend. The projects these DIYers take on are individualized and original. This bargain aspect is where travel brands can utilize Pinterest in order to target the DIY demographic. DIYers aren't always looking for a bargain, but the best possible personalized choice never hurts. Brands can take advantage of this concept by removing the 'shame' in searching for the best bargain. Adding DIY projects to the brand's Pinterest board will allow millennial consumers (both current and potential) to see that the brand recognizes and engages in similar activities and holds similar interests. Promoting individuality through creative projects and ideas enables millennials to see that the brand has a personal voice and isn't afraid to show it. The humanization of a brand lets users see that they can relate to the brand on a personal level, which produces a higher likelihood of purchase as well as an overall increase in brand awareness. Being conscious of and improving brand health is immensely important; just as a person is conscious of healthy choices and maintenance, a brand needs to be aware of its surroundings while prioritizing its wellbeing. Millennials come in all shapes and sizes, so to speak; so targeting individuals through creative and personalized means allows millennials to see that a brand can be human, too. Integrating a personalized feel into the marketing and execution of vacation packages could attract DIY attention. Instead of buying travel packages, DIY consumers might prefer to mix and match the flights, hotels, and activities of their trip. DIYers look to discover the 'best' of everything: the best airline paired with the best accommodations. This trip personalization could allow consumers to mix and match flights, hotels, and transportation, or even give consumers the ability to pose a price to the seller to take into consideration in order to create this personalized trip. DIYers want to see originality and creativity in the way a brand functions and sees itself, similar to how DIY millennials see their own personal projects. A hotel stay can be bought easily at full price, or can be a more personalized and boutique-feel experience by putting in a tad bit more effort for the best possible outcome. Connecting with millennial consumers on the personal and creative level adds an air of confidence to the brand itself, but also to the consumer when deciding whether or not to choose the hotel. Humanizing a brand allows millennials to see a professional brand in a new light. Users will not only see themselves in the brand, but will also see a relatable and personable friend within the brand, with whom they can connect, interact, and share experiences. Pinterest gives brands the unusual opportunity to not only focus solely on marketing and branding, but to have a little fun and get creative with their audiences. Adding this originality to a brand's style and voice will attract the plethora of creative millennial users who admire individuality and take pride in being original. Taking risks in marketing can be challenging, but engaging an audience that prides themselves on originality and being different can be beneficial. By targeting this creative and mindful millennial demographic on Pinterest, users will engage with the brand through continued awareness and stylized engagement. Revisit our site next week to understand how millennial Twitter users utilize the medium to post opinions and reviews. Why Pinterest's New Advertising Tool is Important to Your Brand? Until now Pinterest has been non-revenue generating, but is testing the waters of paid advertising in the form of 'promoted pins' to cash in on all the brand awareness they are drumming up for retailers. 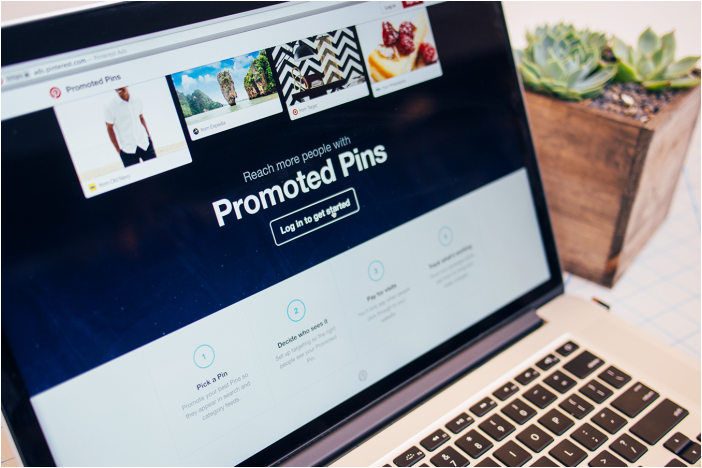 Until recently, promoted Pins have only been available to select brands through priority access but this week Pinterest announced a DIY Promoted Pins tool to engage small to medium size businesses. A select number of CPG companies participated in the soft launch, including: General Mills, Kraft, Nestle and Ziploc in addition to big box retailer ' Target. All of these advertisers committed upwards of $1Mil - $2Mil for the initial partnership. The ads were priced on a CPM basis (cost per thousand impressions) and saw rates in the $30 - $40 range, signaling premium inventory. The new tool however will be priced on a CPC (cost per click) basis enabling advertisers to pay only if a user clicks on their ad. It is likely the initial rates will fluctuate as more advertisers partake, with certain targeting groups being more competitive than others, but this model is not unlike those being used by Facebook and Google Adwords. The ads are marked with the terms 'promoted pin' and a small informational icon alerting consumers that the pin is in fact an ad. The ads are not currently displaying in a users image feed, which is the first experience upon account log-in, but are being served in onsite search results and top trending categories. Shopper Marketers! Pinterest users have been found to exhibit high purchase intent when browsing through pins as shown by these statistics. Pinterest as a whole offers an incredibly valuable environment to engage with consumers online, the core objective of AMP's Shopper Digital Group. As consumers become increasingly web-centric reaching them through traditional advertising is as exciting as outdated inventory ' it just won't sell. The ability to influence brand selection early in the purchase journey starts in spaces shoppers are already consuming content; limiting the modification of the existing user behavior. 73% of active users are neutral to positive about Promoted Pins but advertisers should not lose sight of providing meaningful content like recipes, contests, coupons, sweepstakes and DIY tips all of which have the potential to add value. Pinterest still has to prove its ability to effectively monetize but integrating this channel into the current ability to engage shoppers, building brand recall and drive foot traffic in-store is a key area of focus for the Shopper Digital Group. A multi-channel audience buying approach is critical, and Pinterest will become increasingly important as the platform deploys new, more granular targeting features and optimizes the overall ad format into the existing experience. To learn more about AMP's Shopper Digital Group and Shopper Marketing Services, fill out a contact form. As the fastest growing social network and third in the ranks among Facebook and Twitter (according to ExperianMarketing Services), marketers have recognized the value in Pinterest as a channel that allows brands to cultivate their personality based on an engaging and visual interface filled with dynamic content. BUT, until now, it was hard to pin down (yes that was a pun), the business implications of this interaction. Tuesday's Pinterest Analytics announcement should not have come as a shock since the announcement marks Pinterests' already apparent shift toward monetization and fulfills their promise to businesses late last year that they would introduce data analytics tools for companies to track Pinterest traffic. The new tool allows brands to track how many people have pinned from content that originated on their site, how many people have seen these pins, and how many people visited their site from Pinterest. Also, the new metrics allow site owners to track total impressions and reach on the network. At the most basic level, this is exciting news for brands and marketers alike because we now have the capability to measure engagement and derive business value with a free, reliable tool. However, the advent of Pinterest Analytics raises a number of questions for brands, primarily around advertising and API integration. 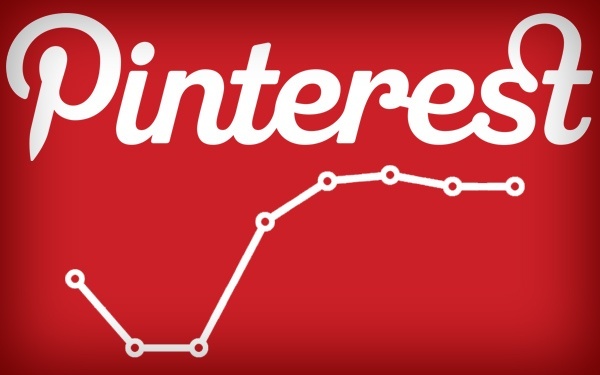 Pinterest relayed to TechCrunch that currently they are simply seeking to help pinners see what content is resonating best on Pinterest and have no plans to charge. While this may be true, this move certainly lays the foundation for the network to generate revenue at some point in the future. The social network does not currently have paid ads, but is exploring a potential advertising system. Additionally, they are working with businesses to learn how Pinterest can result in sales of merchandise, another potential revenue source for the site. The even more pressing question relates to Pinterest's API or the lack there of (publically at least). It seems to be taking lessons from Twitter and avoiding the mass chaos Twitter's open API caused. While Pinterest notes it is too early to identify how they will roll out this API, but we predict Pinterest will leverage it as a revenue generator in order to maintain the ability to better control how the data is being used. To that end, Pinterest itself hasn't defined how it wants third parties to use its data, said Forrester analyst Zach Hofer-Shall. Many third-party sites like Curalate, Pinfluencer, Pinreach, etc. emerged to fill the analytics gap but may now have to reengineer their offerings to stay viable contenders in the measurement game. Until then, Pinterest engagement still remains a fairly cloudy ROI. The final unanswered question may truly be: when will Twitter get on the analytics bandwagon? What do you think? Where does the future of social analytics tools lie? Do you have your credit number memorized because you are a frequent online buyer? No? Well, maybe your bank account is better off than mine. Nonetheless, online retail is at an all time high, with e-commerce sales Inc. 500 companies, the top three social media platforms with the most users are Facebook (74%), LinkedIn (73%), and Twitter (64%). These sites are great points of entry for retailers, but we don't suggest these be the only sites retailers should be utilizing, as it all depends on retailers' overall objectives and goals. One of the most common social media pitfalls is feeling the need to be present on all social channels available. It is important to remember all social media platforms are not created equal ' they differ in purpose, tone, and require different approaches. Not to mention the bandwidth issues associated with trying to manage multiple platforms is huge. Quality over quantity is a pretty good rule of thumb here. Reputation management. You can't ignore the fact that Facebook alone now has over 900 million users who may be talking about you, and there are a dozen other platforms that have over 100 million users, such as Twitter, LinkedIn and, Google+. You need to protect and grow your brand, so the first step is to know what's going on. The best defense is a good offense. Build your brand visibility to position yourself as an expert. Engaging in social media and blogging on a regular basis is a low-cost way to achieve visibility and become a thought leader for that topic and a voice that people trust in your industry. That's how you brand yourself as an expert in your niche and make your company the one that others seek out. Customers today trust those they know and those they see others trusting. This doesn't mean spamming users with articles and opinions. Generate thoughtful conversation and make use of imagery, which catches user attention. Increase customer leads and conversion. With most of the population now using social media, at least 30% of users look at business profiles on Facebook, Twitter and LinkedIn before buying any product or service. Of those, approximate 70% said they wouldn't deal with a new company if it didn't have a social media presence. Having a presence doesn't mean having a dormant page. You need to make users feel special. Creating exclusive deals for fans and followers is a great way to drive traffic and increase conversion. Maximize customer retention. It's a well-known adage of business that efforts to retain existing customers have tremendous payback, compared to the costs of attracting new customers. Courting them with ongoing updates and special offers through their social networks is a natural way to keep their loyalty. Be Proactive. Why not ask customers for feedback before there is a problem, and watch what they are telling their friends, both good and bad? The ability to monitor consumer tastes also grants access to a wealth of information that may help with product line planning and inventory. While social media does have the ability to drive sales and increases conversion rates from various platforms, it is first and foremost a forum for two-way communication between customers and retailers. It also presents a fast and cost-effective way to gather information about new markets. The bottom line is retailers need to determine the most appropriate platform to fulfill objectives and communicate business messages. There's been lots of buzz recently around social, interest and brand graphs. In this week's Insights Lab episode, Michelle Goodwin, Account Executive on our PR & Social team, explains the difference between the graphs and what these graphs mean for brand marketers. As digital marketers the ball is always moving'innovation is the norm and only accelerating. The constant challenge for brands and marketers is to evaluate this evolving landscape and take advantage of new opportunities. Historically, being a search guy has meant constantly testing new placement, creative, device and campaign management technologies as both paid and organic search have become more personalized to the end user and competitive among brands. This is even more pronounced on a broader digital scale ' the past year alone has witnessed the explosive rise of Pinterest, Google finally entering the social world (for real this time) with Google+ and of course Facebook's acquisition of Instagram. Content Marketing is yet another tactic that has been buzz worthy in the past year. Like social media, a content strategy can mean a variety of things depending upon ultimately the program's objectives and level of sophistication. To help make sense of this, I thought I'd share the hierarchy of how we're thinking about content marketing for our clients. The good news is that if you have a website, you're probably doing it already to some degree. This is the baseline starting point. In all likelihood, you have a website and within that site you have produced and posted some content elements from videos to press releases to perhaps a blog. That's great, a big step and the most important. Yet, the greater benefit is in activating that content to expand your digital footprint throughout organic search, social media and other earned channels. Digital assets should be keyword optimized according to your SEO strategy, placed appropriately on site, enabled for sharing and distributed to relevant social channels. While digital asset optimization is the initial starting point for developing and activating your content strategy, an advanced Content Marketing program is strategic, comprehensive and ongoing. Strategic in that message, channel and velocity of content is driven by empirical audience research. This data will identify clear audience drivers and needs and opportunities through which to engage them. Comprehensive as content is developed in a variety of forms thus reaching your audience through their preferred channel of engagement whether that be via webcast, article, video, infographic or other. Ongoing ' this ultimately refers to the concept of brands as publishers in that the content program should be consistent over time. This will not only foster a relationship with your customer, but frequent new content will expand your brand's overall footprint and organic search profile. Brands that have nailed down the fundamentals of content marketing then move on to more robust strategies of truly becoming story tellers. These brands have a well oiled publishing and distribution operation of research, development, activation and measurement. The next step is then pulling this unique brand positioning into all forms of communication from sales and support to social media engagement. It means truly owning your niche and telling your story through all facets of your business. A colleague and mentor of mine once advised me to add value in every interaction whether that be personal or professional. That advice has been invaluable throughout my career and is at the core of what content marketing is all about. Regardless of where your brand is in the hierarchy of content strategies, the fundamental principle is simple - provide engaging, valuable information to your customers, clients and constituents. Add value and they will not only be customers, they'll be advocates. Pinterest is a photo sharing social network that allows users to create and manage various categorized image collections in a 'bulletin board'? style fashion. Users can 'pin'? photos into categories they create based off their own personal interests. Pinterest helps people all over the world connect through their own like-minded interests, such as travel, culture, fashion, cuisine, and photography. Why is Pinterest beneficial for SEO? Picture captions are completely optimizable, and 'pins'? can be indexed in search engine page results. See the example below of Google generating a Pinterest link to a photo of Alaska when a user input the keyword 'Alaska.'?  Each image can contain links to send traffic to appropriate parts of the website. Following and supporting popular bloggers and websites across the web can increase your visibility and search authority- ultimately increasing the chances of high profile web sources featuring your brand on their websites. Blatant self promotion is frowned upon, and ultimately will not be the most effective utilization of the site. The most successful Pinterest profiles are those that interact with the community and 'pin'? items from other community members as well. As mentioned earlier, brands can support the target community by following influential people in the category, and 'pinning' photos from people have interests that align well with your brand. The Travel Channel does a fantastic job of connecting to people's emotional ties to travel, such as the culture, food, and activities in addition to highlighting its traditional offering'suggesting destinations. The key lesson here is do not solely feature your company's latest product and service'ensure there are additional boards that feature secondary categories associated with your brand, thereby creating more of a connection with the consumer. It is important to supply engaging imagery to maximize results. If your brand decides to use Pinterest, Pinterest sharing buttons should be added to all applicable content. Providing that your brand actively participates in the Pinterest community, the site can be a great way to build social presence, gain search authority, and increase overall visibility for the brand. Confession: 90's pop music was is my jam. I may or may not still tune into the blissful harmonies of *NSYNC and reminisce about Britney Spears' glory days. While I am coming clean, I recently starting running again after a 4 year hiatus. Thanks to the information provided by the Nike + GPS app, I learned you apparently do not pick up where you left off. Although appearing to be a cathartic relief, I just shared those oh-so-flattering tidbits to showcase how as a 23-year-old, I am sometimes still embarrassed by my music choices and dwindling athletic prowess amongst other things. I can only imagine how my angst-ridden teenage self would feel about sharing these 'offline'? activities with the online world. A few weeks ago, Facebook made that concern a reality with the unveiling of 60 frictionless sharing apps ranging from Pinterest to LivingSocial to Foodily. A blog post announcing the new feature stated, "You can now enhance your timeline with apps that help you tell your story, whether you love to cook, eat, travel, run, or review movies." Using Facebook's Open Graph platform, any brand can now build an app that sits in a user's timeline and lets their friends know what they are doing. Facebook has wisely given users control over who can see their app activities. As with the existing Spotify app, updates will appear in their friends' tickers and news feeds. Discovered a recipe for Mac n' Cheese topped with Corn Flakes (a personal teenage favorite) on foodily, now you can share this discovery with friends on Facebook since the app integrates with timeline to appear in the ticker and newsfeed stating "Katelyn is cooking Mac n' Cheese on foodily." What does this blur between the offline and online world mean for teens? As stated in our Psychology of Social whitepaper, Danah Boyd, a Senior Researcher at Microsoft hypothesizes that teenagers incorporate the use of social networks to facilitate identity formation, establish social status, and as a means of communication. Even in creating a profile, Boyd points out how teens are working towards establishing an identity and once the profile is established, teens monitor its contents to manage its (and their) appearance to peers. James Marcia, a developmental psychologist from Canada, supports this notion of crafting an online identity. Marcia defines identity as "constructed rather than societally imposed." This definition lends credence to the idea that adolescents may create a separate identity online than the one they have in real life. So, while this integration may appear a little big brother-esque, teens will have to go through one more hurdle to create and manipulate the identity they want to convey to others online ' actually living that identity offline. Therefore, this integration could lead to a healthier development and platform to truly "express yourself." Hello, my name is Shaylan, and I'm a PIN-A-HOLIC. I remember it like it was yesterday'?¦ It was a rainy Sunday in August when my Pinterest invite finally came. Coffee in hand, I began emptying the countless links I had saved in my browser favorites, organizing them onto my cleverly named virtual pinboards. I won't tell you how many hours it took before I forced myself to tear my glazed over eyes away from my MacBook. Seriously, it was worse than when I read the entire Hunger Games series in two days. Let's keep that between us, ok? Anyway, if you haven't heard of Pinterest, or like my fiancÃ© you refuse to comprehend what it is and why I and others spend so much time 'pinning'? ' simply put ' it's a virtual bulletin board. According to Pinterest, the site 'lets you organize and share all the beautiful things you find on the web.'? The reason Pinterest is likely so popular? It combines the traditional social network concept of sharing, with compelling visual content. In other words not only is the site easy to use, it's really pretty! While I haven't built my walk-in closet yet, I've virtually filled it on Pinterest. I've also decorated my entire house, planned my wedding and armed myself with several projects in the event that I decide to become crafty. And, lately, that red notification that someone 'liked'? something I posted on Facebook just doesn't give me the twinge of satisfaction I feel when someone 'repins'? something from one of my boards. Pinterest is not new news, and I'm not the only one wondering & blogging about why brands aren't utilizing this channel, or speculating on how they should be. Just last week Mashable touted the network's referral traffic (more than Google+, YouTube and LinkedIn combined in January). When I registered for Pinterest, the first thing I did after following my friends who were using the network was search for my favorite media outlets and brands, but most of them were nowhere to be found. Pinterest isn't right for every brand, and it needs to be approached creatively & with strategy'?¦but if an opportunity exists to provide content and boost consumer engagement it seems like a no brainer. The biggest reason I see an opportunity for marketers? Since I became a member, Pinterest has driven (several) of my purchase decisions. How do you think brands should take advantage of this platform?